San Diego, CA – National University is pleased to announce the appointment of Dr. Alfred Ntoko as dean of the School of Business and Management, effective March 31. Dr. Ntoko comes to the private, nonprofit National University from Empire State College of State University of New York, where he served as provost and vice president of Academic Affairs. "We are pleased to welcome Dr. Ntoko to National University as we identify new opportunities locally and nationally to build on the successes of our business school programs," said National University provost, Dr. Gangaram Singh. "Dr. Ntoko brings an extensive background in academic leadership and business school management to his new position, along with an impressive body of scholarship in international finance, all areas that will clearly benefit our students and wider university community." Dr. Ntoko developed his educational leadership skills by overseeing all online and on-campus academic programs, and assisting veteran and active military students at Empire State College. His background fits well with National University’s strong commitment to serving adult learners, including those with military backgrounds. Dr. Ntoko also has a strong background in fundraising and shared governance, as well as global programs. 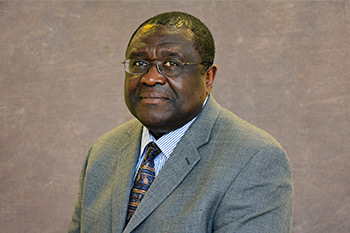 Prior to working at Empire State College, Dr. Ntoko served as the dean for 13 years of the following business schools: the School of Business and Information Systems at City University of New York in New York City; the College of Business and Public Administration at Kean University in Union, New Jersey; and the College of Business at Texas A&M University in College Station, Texas. Dr. Ntoko’s administrative experience includes positions as accounting department chair, graduate program director, academic advising director, and developer of a Bachelor of Science in Logistics and Supply Chain Management program. He also brings a strong background in international education, as Empire State College maintains sites in Athens, Greece; Beirut; Tirana, Albania; and Prague. Dr. Ntoko earned a Ph.D. and a Master of Arts in Economics from State University of New York at Binghamton and a Bachelor of Science in Management Science and Economics from State University of New York at Geneseo. He is fluent in both English and French. "I’m honored to join National University," said Dr. Ntoko. "The School of Business and Management has outstanding faculty, a strong alumni base, and extremely accessible curricula. I look forward to building upon that foundation and expanding relations with business and industry in the various communities we serve."